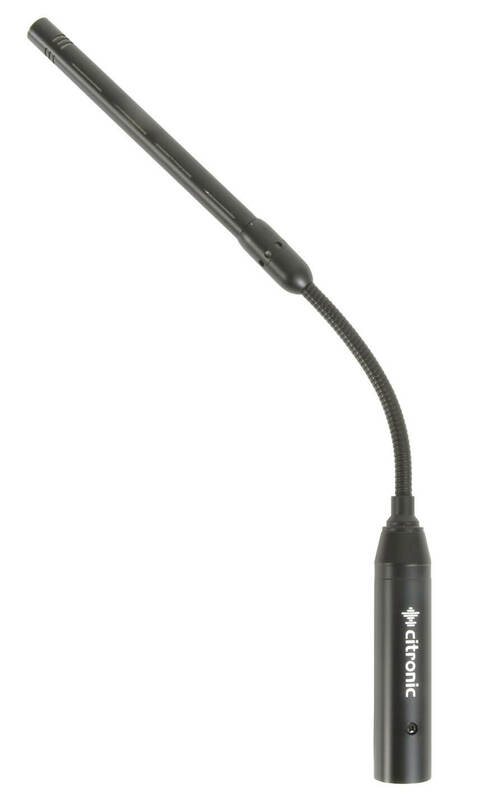 Directional conference microphones with a flexible gooseneck stem and fitted with a high sensitivity condenser capsule. Shotgun style focusing gives these microphones a tight listening field and optimal isolation. 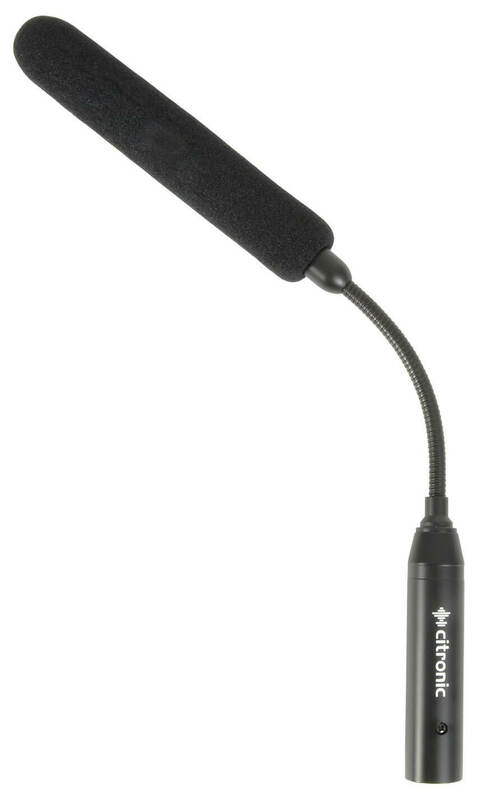 Mounted to a lectern as left and right pairs angled towards the orator, these microphones will provide excellent speech pickup with minimal feedback.